Bernard Productions has been in business since 1983. We specialize in musical instruments including Steinway & Yamaha Grand pianos, the most popular keyboards, guitar amps, bass amps, drums of all popular brands & sizes, percussion, DJ Gear and major accessories. We have a number of audio systems including Meyer Audio, Sound Bridge Audio, DB technologies, Avid Venue Profile, Yamaha PM5D & Yamaha PM4000 & PM4000M, Presonus, Berringer-Midus X-32, and much more. Large quantity of conventional lighting including hundreds of feet of truss and motors. There are moving lights, LED Lighting, and special effects. We do video lighting. Stage building is done through associates, and we manage their installation. We work with producers on award winning television shows, convention presentations, and special events. Bernard Productions has the ability to tackle any entertainment production whether you need audio, lighting, musical instruments (backline), or video. We have the largest inventory of backline on the Gulf Coast and we've been in the business for over 30 years! An endless stream of outdoor and indoor events, ACE AWARD winning video productions, Billboard chart music production and mixing, and we can leap tall buildings in a single jump when the food is spiced right! We've got all the toys. CREDITS: Fats & Friends Video Special, HBO Ace Award, Most watched video in HBO/Cinemax history. 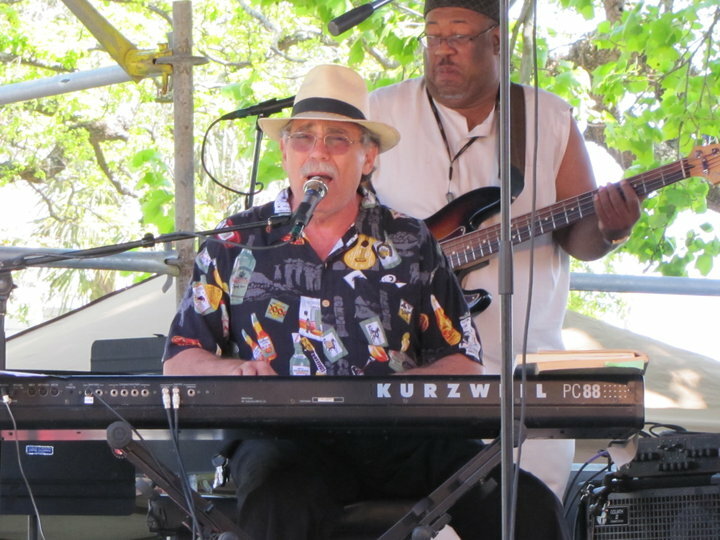 New Orleans French Quarter Festival, 30 years Pianos; 18 years, audio, lighting, backline. New Orleans Jazz & Heritage Festival, 38 years, director piano tuning. Fats Domino, 6 years Production; all Louisiana dates. House Of Blues New Orleans backline supplier since opening. Tipitinas Night Club backline supplier, 30 Years. Pete Fountain, Ray Charles, Dr. John, Allen Toussaint, Randy Newman, James Brown, Aretha Franklin, Paul Shaffer, and many more. Over 1,000 plus festival dates in Louisiana including Washington Parish Free Fair, largest free fair in USA, and Louis Armstrong Satchmo Summer Jazz Fest, Festival Internationale, Lafayette, La., 8 years.